Senior Ally Carraway transitioned from volleyball to powerlifting and became the 5A state record holder in the bench press for her weight class this season. Powerful performances are nothing new to senior Ally Carraway. Last year, she broke a school record by becoming the first girl from the district to qualify for the 5A state powerlifting meet. This year, she surpassed her own record by becoming the first girl to qualify twice. Then, at this year’s meet, she pushed the boundaries of her strength even more by becoming the 5A state runner-up in her 148-pound weight class by lifting a combined weight of 945 pounds. But in the bench press at state, Carraway proved to be the most powerful of all by breaking the 5A state record in her weight class with 225 pounds. Carraway’s “hard work” included training during the off-season and regular season both at the school and then after school with one of her two gym memberships. A portion of her training has come from powerlifting coach Zack Smith, who coached Carraway for the past three years. “He’s been able to help me with training and learning the discipline that I need to work every day to get stronger,” Carraway said. Smith said Carraway has grown in many ways over the years. Smith said Carraway is leaving a “great legacy” at the district’s powerlifting program. Carraway’s determination was put to the test this season because at last year’s state tournament Carraway “bottomed out” at deadlift. “If you don’t get a single lift in squat, bench or deadlift, it’s called bottoming out which means you’re disqualified from the meet,” Carraway said. Smith notes Carraway used last year’s state meet as a learning experience. Because of last year’s outcome, Carraway tried to change her mindset for this year’s state meet. Carraway receives much support from her family who nicknamed her “Big Al” and encouraged her to start powerlifting her sophomore year. “I was always kind of stronger than the other girls when I played volleyball, so when I quit playing volleyball, my mom suggested I do powerlifting,” Carraway said. Angie Carraway, Ally’s mother, watched Ally place at this year’s state meet. Ally is currently deciding among a few schools on where to continue her athletic and academic career. However, according to Angie, no matter which school she attends, their family “loves” the idea of Ally continuing her career. 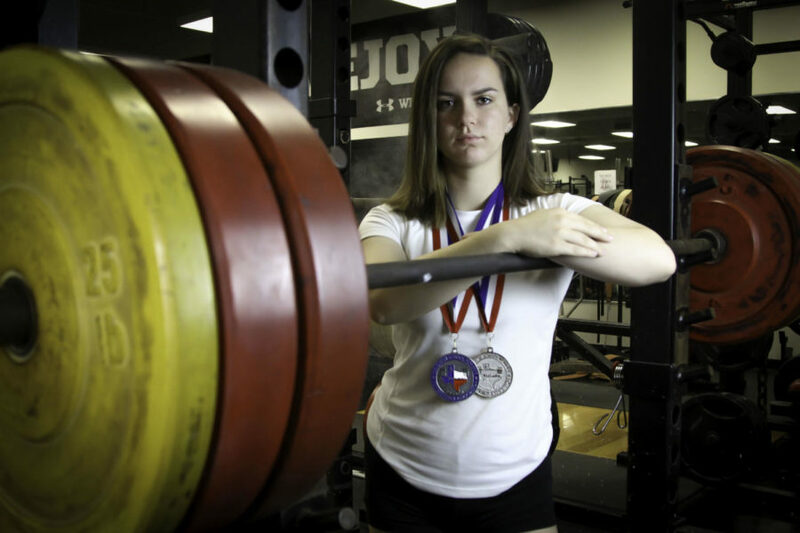 “We feel [continuing powerlifting and competing at the college level] will give her goals, keep her physically healthy, and a sense of belonging,” Angie said. Overall, Ally said she’s experienced many benefits from competing in powerlifting. Editor’s note: Additional reporting in this story is provided by freshman Carlee George.